The Village Hall is situated in the heart of the lovely village of Thornton Hough with easy access by car or public transport. 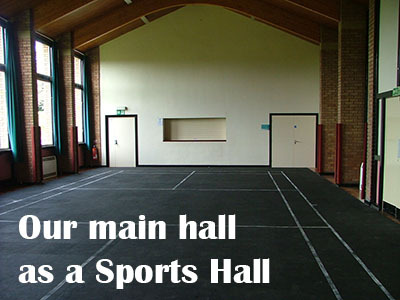 The Hall was designed and built to be light and airy with large and flexible accommodation and is run by the local community. Meetings and conferences - Family functions - wedding receptions, christenings - children's parties - indoor sports - dances - plays and performances. 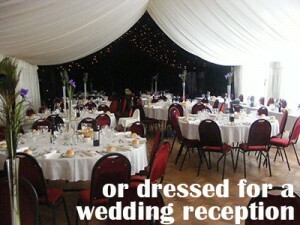 The Hall can be set out in a wide variety of styles to suit your event needs and is available all year round. We can make a single large room or have a partition where you can use one or both of the rooms. A licensed bar and in-house caterers are available to take the hard work out of your function. We are happy to arrange a no-obligation visit for you to take a look around the Hall in advance of making a booking.